The Legalization Of Marijuana: A Worthy Expansion Of Human Freedom? Consider the amazing national trend of accommodating American culture to the legalization of marijuana. In 2014, the editorial page of the New York Times argued intensely (on the front page) for the legalization of marijuana and the removal of all penalties against the manufacturing and distribution of marijuana, let alone the possession of marijuana in its many forms. Ten states (soon to be joined by New York and New Jersey) have voted to legalize marijuana for recreational and medicinal use. Licensed shops in Colorado and Washington now sell it to anyone who wants it. Numerous states have recently legalized the drug for medicinal use, bringing the total to 23; this number will undoubtedly grow. There are three premises used to justify the legalization of marijuana: (1) It will stop governments from wasting money locking up people who have not really hurt anyone; (2) It will raise tax revenue: and (3) It will put criminals out of business. In short, the argument goes, legalizing marijuana expands personal liberty and serves the interests of an expanding government. Further, public opinion has also shifted from 32% supporting legalization of marijuana in 2002 to over 65% today. Columnist Ross Douthat argues that the spread of gambling casinos has been driven by a top-down phenomenon, largely by states seeking revenue, while marijuana has been driven by a grass-roots movement—driven by activists, activists and Hollywood. But both have been energized by “the same trend in American attitudes: the rise of a live-and-let live social libertinism, the weakening influence of both religious conservatism and liberal communitarianism, [and] the growing suspicion of moralism in public policy.” Such attitudes merely reflect the cultural addiction to Postmodern autonomy, so rampant in America today. The end result is that (in the words of Douthat) they “grease the skids for exploitation, with a revenue-hungry state partnering with the private sector to profiteer off human weakness. This is one reason previous societies made distinctions between liberty and license that we have become loath to draw—because what seems like a harmless pleasure to the comfortable can devastate the poor and weak. Or else, with pot and slots no less than bread and circuses, it can simply distract their minds, dull their senses and make them easier to rule.” America is embracing a damaging level of permissiveness all in the name of autonomous freedom and rights. For the intellectually honest, this is a disaster—and our children and grandchildren will live with the consequences. Decadence in the name of freedom will destroy the American experiment. As we embrace marijuana in the name of personal liberty and the funding expansive government, we must face something rather obvious: If one is intellectually honest, it is silly to think that personal liberty is really a compelling reason for marijuana’s legalization. Common sense would seem to indicate it will actually produce greater personal enslavement. Further, as the various states foster addictive behavior among its citizens, they will in effect be furthering state addiction to revenue from pot. No matter how one views this set of developments, it is difficult to see all of this as a great advancement in civilization. How should we think about this grand experiment in the expansion of personal liberty? Several pieces of evidence indicate that this is not a wise decision for our culture. The marijuana of the 1970s and 1980s generally contained less than 5% THC. 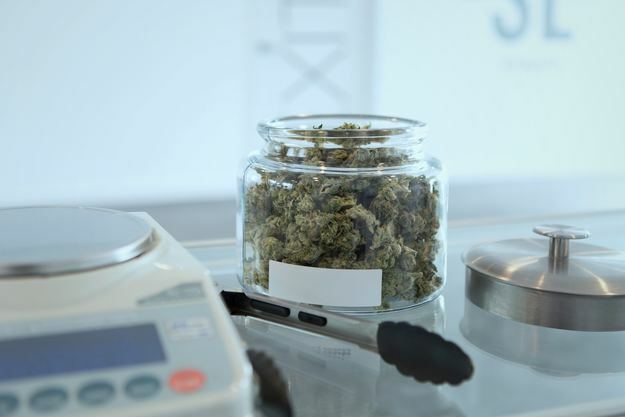 Today, the marijuana sold at legal dispensaries often contains 25% THC. Many people use extracts that are nearly pure THC. In 2005, about 3 million Americans used cannabis every day. Today, that figure is 8 million. In 2006, emergency rooms saw 30,000 cases of people who had diagnoses of psychosis and marijuana-use disorder—the medical term for abuse or dependence on the drug. By 2014, that number has tripled to 90,000. Further, rates of serious mental illness are increasing, with the sharpest being among people 18 to 25, who are also most likely to use cannabis. Advocates of legalizing marijuana have argued that legalization will actually reduce criminal activity. Has it? “Because marijuana can cause paranoia and psychosis, and those conditions are closely linked to violence, usage it appears can lead to an increase in violent crime. The first four states to legalize—Alaska, Colorado, Oregon and Washington—have seen sharp increase in murders and aggravated assaults” since 2014, when legalization began. As with alcohol, marijuana use, where legal, is a matter of Christian freedom. But in exercising the freedom to use marijuana where legal, Christianity Today executive editor, Andy Crouch, offers wise counsel: “The Christian’s freedom is a gift that leads to serving others, with care, attention, skill, and singleness of heart. It’s a freedom that willingly sacrifices easy pleasures in order to serve. And by that standard, it’s hard to imagine that pot will be helpful any time soon.” Christian freedom, further, is always exercised within a cultural context where there is a community with values, practices and mores. In North America, how does marijuana function? Crouch writes correctly that “[Pot] is associated with superficially pleasant disengagement from the world. It connotes a kind of indolence and ‘tuning out’ that is not an option for people who want to become agents of compassion and neighbor love, not to mention its association with all kinds of immaturity.” In addition, one must consider that marijuana creates a temptation “to depend on substances to numb the pain of lives robbed of dignity and meaningful work.” The marijuana plant is part of the world that our God created and He has declared it to be good. We have a stewardship responsibility before Him to be wise in how we utilize our role as creative cultivators with our God. He is the sovereign; we are His dominion stewards. As His image bearers, what we do and the choices we make must always foster a deeper relationship with Him. As Paul declared, our freedom should lead to choices that are profitable, edifying and bring Him glory. Crouch writes that “Image bearing invites us to deeper capacities and competence. . . Is marijuana a cultivated celebration of the created world, one that enhances and sharpens image bearing in all its dimensions? Or does it merely substitute for the consolations and comforts of life lived truly and honestly before God and other people?” For Christians who are free in Christ to make this choice, that choice seems obvious. Furthermore, in a broader sense, it is time that government asks a related question when it comes to legitimizing marijuana: “Laws profoundly mold culture, so what sort of community do we want our laws to nurture? What sort of individuals and behaviors do our governments want to encourage? [David Brooks argues] that in healthy societies government wants to subtly tip the scale to favor temperate, prudent, self-governing citizenship. In those societies, government subtly encourages the highest pleasures, like enjoying the arts or being in nature, and discourages lesser pleasures, like being stoned.” Responsible freedom is not only a mark of mature Christianity; it is a mark of sensible government. Legalizing widespread recreational use of marijuana is a panacea now gripping American culture. Among other things, it is viewed as a proper expansion of human freedom to pursue the goals of the autonomous citizen. However, I believe rather confidently that this expansion of freedom will actually enhance cultural decadence and dysfunction. It is not advancement in the human condition. See Alex Berenson in the New York Times (5 January 2019); Andy Crouch’s brief essay in Christianity Today (March 2014), p. 22; David Brooks in the New York Times (2 January 2014); Ross Douthat in the New York Times (3 and 5 November 2013); Michel Gerson in www.washingtonpost.com (16 July 2014); and The Economist (12 July 2014), pp. 25-26. Well said, Dr Eckman! This should be shared with every one of our NE State Legislators! If anyone knows how to do this and has their email or other address, please forward it or copy and send. Log in | 35 queries. 0.112 seconds.